It’s More Than Just A Fair! The arrival of the fall love bugs, the leaves changing colors and falling to the ground, and the sounds of bands rehearsing and cheerleaders chanting can only mean one thing in North Florida……no it’s not time to shop for Christmas gifts…even though it’s just around the corner, but instead, it means it’s almost FAIR TIME! Fair time is not only viewed as the first official 4-H program kickoff event where most of the club participants can play a part, but it’s also a time where youth take pride in showing off the work they have completed in their clubs. The fair is a venue for 4-H youth to put their 4-H work on display and in many cases receive premium money based on the quality of their entries. The fair also provides opportunities for competitive events to take place and for some youth to showcase their animals they have worked with and cared for during the past year. Can a youth’s participation in the fair help to development them into a responsible adult? The answer is yes! The 4-H program seeks to be inclusive to all youth by using a variety of vehicles to teach youth life skills in traditional and non-traditional settings. The vehicles used with fairs could be exhibits, animals, competitions, booths, and the list goes on and on. A recent article in The Journal of Extension by Oregon State professionals found that “having fun” and“ spending time with friends” and “teamwork” were the highest rated motivators for participation in the fair. 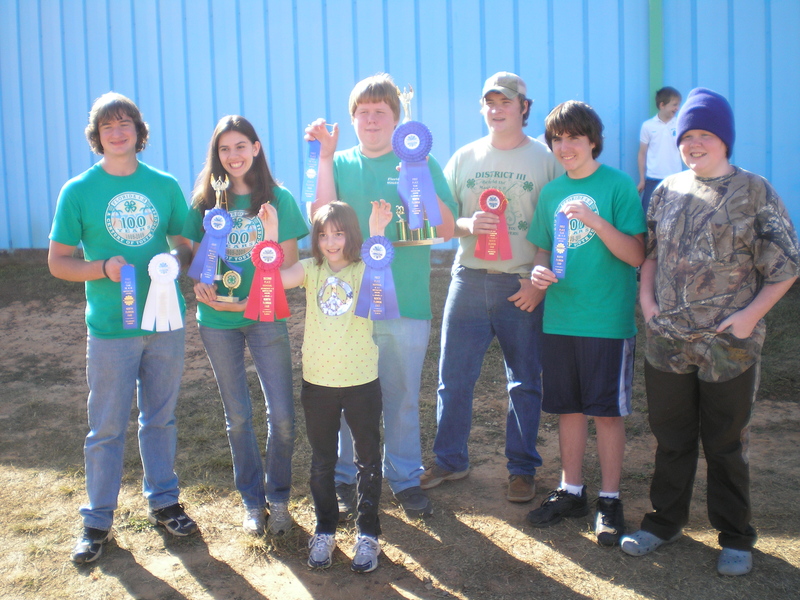 The study also revealed that participation in fairs through 4-H had a significant positive effect on participants levels of caring, contribution, and character. These characteristics are also part of the Essential Elements of 4-H that youth experience by being in an active 4-H program throughout the year. Those elements are Belonging, Independence, Generosity, and Mastery. These results support the conclusion that participation in county 4-H fairs do contribute to the positive development of youth. Research shows that people as a whole learn more when they are having fun and the activities and events at fairs or no exception. By setting “fair” goals that are not tied to premium money but instead to the warm fuzzies felt by youth when they feel they have contributed to a worthwhile event is the right recipe that’s sure to earn them a blue ribbon for life. So, make plans to utilize the events in your local or regional fairs to help teach your youth life skills. If you choose project entries, and need additional help getting those submitted, please contact your local 4-H agent and request a copy of the Document entitled “Getting 4-H Exhibits Ready For The Fair”. LEGOLAND is sponsoring the 1st Annual 4-H Day at LEGOLAND on Saturday, September 28th– just in time for 4-H Club Kickoffs! Florida 4-H Families will be able to purchase tickets to LEGOLAND theme park for $30.00 each (regular price is $75.00). In addition, $5.00 from every ticket sold will go to the Florida 4-H Foundation to support 4-H Clubs and Educational Events. Order up to 20 tickets in one transaction at: https://secure4.gatewayticketing.com/LegolandFlorida/shop/ViewItems.aspx?CG=4h&C=4h . Tickets are good for both youth and adults. For an additional $15.00/person, you can upgrade your ticket at the gate to include access to the water park. 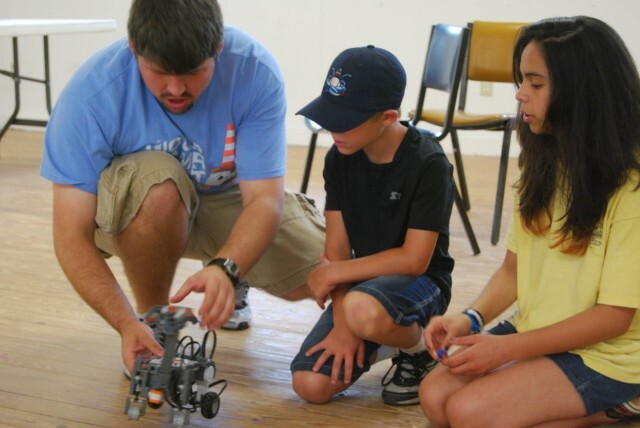 Upon arrival, youth can sign up for free robotics workshops to learn about WeDo, Mindstorms, and the new EV3 robotics kits. LEGOLAND is a theme park with rides, a water park, educational exhibits, Florida Department of Agriculture Greenhouse, Botanical Gardens and much more. To learn more about LEGOLAND, visit their website at: http://florida.legoland.com/. For questions, please contact Annie Muscato, afmuscato@ufl.edu or Heather Kent hckent@ufl.edu. Last night, Dr. Paula Davis taught us how we can make a difference by empowering youth to plan and lead effective club meetings. We even practiced parliamentary procedure by making trail mix. Whitney Cherry explained proper 4-H emblem usage and how to secure permission to use the 4-H name and emblem for your club. All of the games and reference materials are available from our website at: http://nwdistrict.ifas.ufl.edu/4hn/category/volunteer-training/make-a-difference-mondays/. The door prize winner for August was Edward Owen from Walton County. He won a 4-H Club Kit, containing everything you need to run a club meeting. September winners will be announced next week. Due to feedback from volunteers like you, we have adjusted our training schedule so that the next session, October 21st, will be on Risk Management. 4-H Specialist Dr. Dale Pracht will be sharing valuable best practices for creating safe and secure environments for 4-H club meetings and events. Please invite any 4-H teens, parents or volunteers that you feel would benefit from this session! When volunteers share their skills and expertise with youth during 4-H club meetings, youth learn valuable life and leadership skills. Volunteers like you help 4-H make a difference in over 300,000 Florida 4-H youth each year! Today is Make a Difference Monday! Our first session of Make a Difference Mondays was a huge success, and we are very excited to see each of you tonight for round two. If you were not able to join us last month, you are still welcome to attend tonight. We would love to have you! The session will be offered at your local UF/IFAS Extension Office, or you can join us online from home at 6:00 PM CDT/7:00 PM EDT. Don’t forget to sign in, so we can enter you in the drawing for tonight’s door prizes. Additionally, each time you attend a session of Make a Difference Mondays and sign the sign in sheet (there is one available for online participants as well) your name will be entered in the grand prize drawings to be held in April. Thank you all again for helping us to “Make the Best Better”! Welcome to the new 4-H year! As you begin making plans to re-connect with your club members and families, make plans to create a year-long plan for your 4-H Club. Why should your 4-H club plan up to a year in advance? 4-H members plant trees for a community service project during Arbor Day. 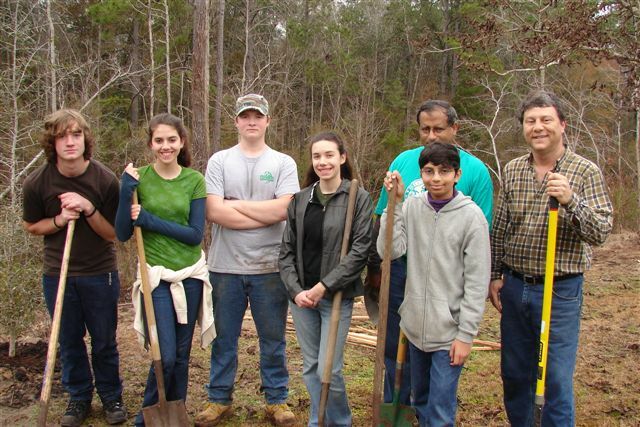 What should be in your 4-H club plan? There are many different ways to create a “year plan” for your 4-H club. The following are a few examples of activities that can be done during a meeting to ensure that all members’ thoughts and ideas are expressed. Keep in mind, when beginning to discuss plans for your club’s focus, education should be the top priority (what youth want to learn during the year). Tape a large piece of paper to the wall. On the paper, write two statements: (1) “This year in _____ 4-H Club, I want to learn…” (2) This year in _____ 4-H Club, I really want to….” As youth arrive, direct their attention to the paper and ask them to complete the statements. At a designated time during the meeting, discuss the responses. Have youth create a collage of his/her “year plan” for the club. Materials needed for this activity are: magazines, newspapers, crayons, markers, scissors, glue, construction paper, etc. You can also do this activity in groups. Have each member complete the “Design Your Own Clover.” Members can share one leaf of the clover a designated point during the meeting. Now that you have all these ideas from your club members, how do you implement your plan? Form a program planning committee. It is important that this committee be representative of your entire club. Older members are likely to be effective planners, but might leave out needs of younger members. In general, committee members are: vice president, secretary, recreation leader, and an adult. It is also good practice to add two or three members who are not officers. This committee can meet on a separate day from the club meeting or convene before/after a club meeting to complete their responsibilities. Once finalized, the committee should report back to the entire club to receive final approval for their plan. Club planning is not a cut and dry process. Every club can modify these practices to best suite your members – keeping in mind the reason for creating such a plan is to keep the actions of your club directed toward your goals. Your 4-H Extension Agent is also a great resource during this process. Contact your local agent to receive help in creating a plan or for a list of important dates/deadlines for your local office.